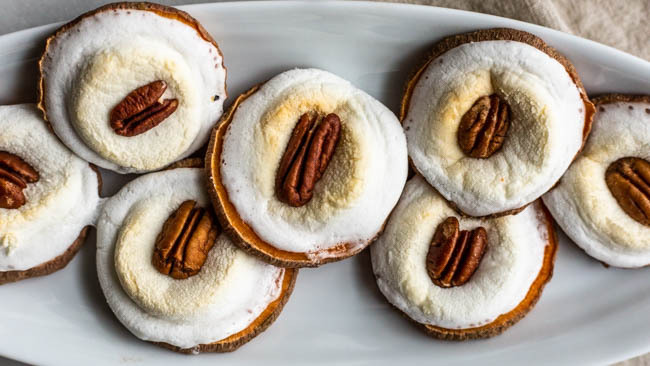 Sweet Potato Marshmallow Pecan Melbas are an easy, sweet and healthy appetizer to serve to a gluten-free crowd. Slice the sweet potatoes to 1/4 inch thick slices. Place the sweet potato rounds on a greased baking sheet. Bake for 20-25 minutes until they're soft. Place 1 marshmallow half on each sweet potato round. Place back in the oven for 3-5 minutes, watching closely, to melt the marshmallow. 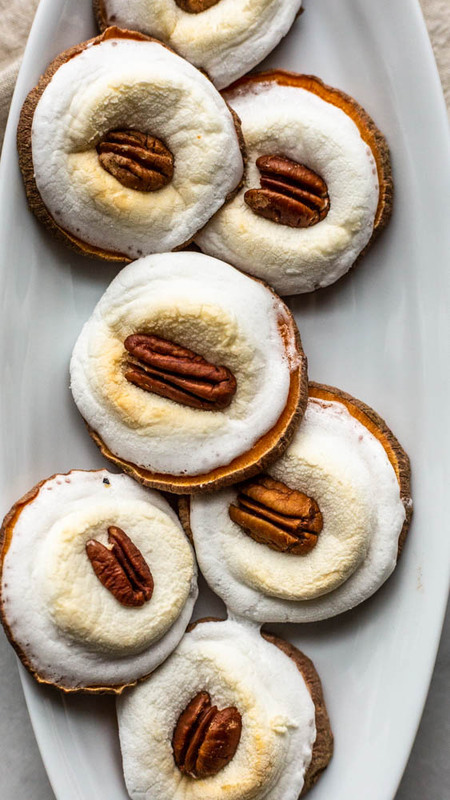 When the marshmallow is melted, place the pecan in the center and serve warm!